Pastor Priji shares the importance of making people feel comfortable in the house of God week after week and what does it take to host people in such a way that they feel right at home! Welcome to church talk. 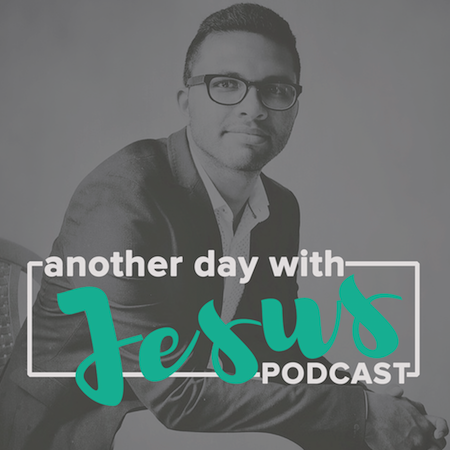 In this podcast, Pastor Priji discusses all things related to the church. Today’s podcast is to encourage you to make your church a God friendly and a people friendly place. So often our churches are off balance – we love serving and hosting God and sometimes we make the mistake of ignoring the people that come in, or vice versa where we disconnect form the Holy Spirit and focus only on the people. The New Testament church was totally based on the Word of God, connected to the Spirit of God, submitted to the leadership of the church and absolutely connected to the struggles of every day life. At one point there was a challenge where people were not receiving sufficient food portions in the church and when the widows complained about it, a new system was set up so that everybody was treated fairly. Let’s look at some principles we can apply in our churches and fellowship, whether it be a 2-3 member fellowship or 20-30 member congregation. Remember church is not a place where we make someone uncomfortable; we are there to make them feel at ease. When you walk into a hospital, you may notice paintings on the walls, explanations related to child birth and growth of a child; it feels like a people friendly environment. The fact that the hospital knows about my problem makes me feel comfortable. As soon as I reach the hospital, I’m given assistance if I need a wheelchair or other equipment. Why don’t we do that in church? People walk into church every Sunday morning broken and hurting. On the outside they may look amazing, however we forget that everybody is struggling in some area of their life. If we see them from the eyes of the Spirit and see their spiritual state instead of the physical state, we would realize how much more love and affection we need to show at the entrance to make them feel comfortable. They should be comfortable enough to trust this house to take care of them because of the genuine care they receive. If you are an organized church, set up ushers. If you’re in a small house church, you can be the usher. In the early years of my ministry, I was highly judgmental of people who would come in without a sense of time or without a real Bible in their hands or without dressing up well. Over the years God has taught me so much and given me wisdom and maturity to understand that I’m not here to boss over people – I’m here to serve them. As a servant I’m not supposed to make demands on clothing and timing. They know at what time we are open to serving them and it is completely their choice to come and receive how much ever they want. A person who walks in during the last 5 minutes of my service will receive the same attention and love from me as someone who walks in on time. You need to be discerning, but don’t judge. If you see others doing it in your church, talk to them and teach them the importance of loving people the way Jesus loves them. 3) Reduce “Christian-ese” in your language. Sometimes when we are in the assembly of other Godly people, we use words such as sanctification, justification, redemption tribulation, etc in our conversation. A new comer may have no clue what we’re talking about if they’re from a different background. Since it is important to speak Biblical truths, take time during your sermon or conversation to explain what you just said. The Lord can use ordinary real conversation to bring people from death to life. In our church, people have been saved just by having someone tell them that God will take care of them or God really really loves them. Be intentional in having conversations that will bless and equip people. If you’re talking in a group, speak in a language everyone understands or assign a translator to the person who does not understand. Sometimes we are insensitive in these matters. Take the time to explain to newcomers what the Bible is and why we read and study from the Bible. So often our focus is on the wrong things when we try to win somebody to the Lord. We try to erase every wrong ideology from their hearts and try to find all the places we disagree on. Yet Jesus said the one thing that is needed for people to be saved is to believe in Jesus, have a deep sincere confession of their faith, and willingness to follow Jesus. Apostle Paul said his faith hangs on one single thing – the resurrection of Jesus. The fact that Jesus came, lived, died and rose again. Often our focus is on getting people to become members and sign up for growth groups. Our primary desire should be to get people to have an encounter with Jesus, not to get them to come to our church. Let that be your prayer every Sunday – that everyone who comes into your church would have an encounter with Jesus. How would you celebrate a child who begins to walk for the first time? In the same way, celebrate a new person coming to church and build real honest Godly relationships rather than just trying to get people baptized and added to the church. We’re looking for people that we can do life with and have real conversations with. May the Lord equip you for that in this season. Whichever church you are a part of – I pray that it will be welcoming and celebrating people who walk in. Give them an excellent environment. Make it a friendly place. Look for opportunities to serve the newcomers and invest into them. I pray that the Lord will add to your church new people every week. This segment is inspired from a recent teaching series called the Church Culture series. Complete sermons are available on our YouTube channel and websites.